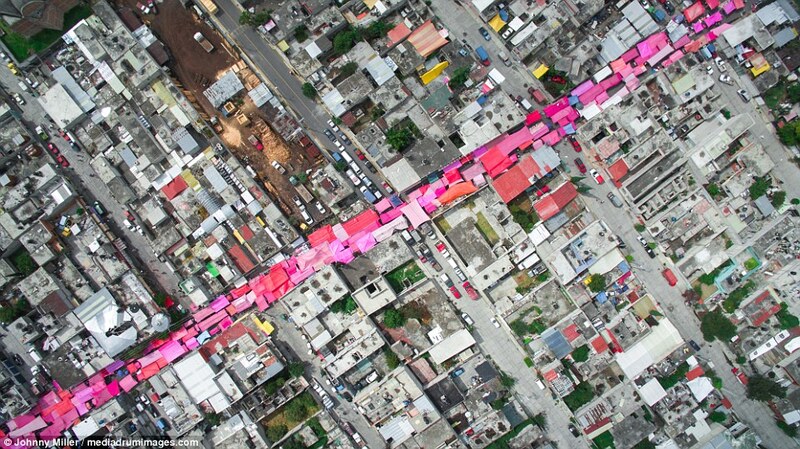 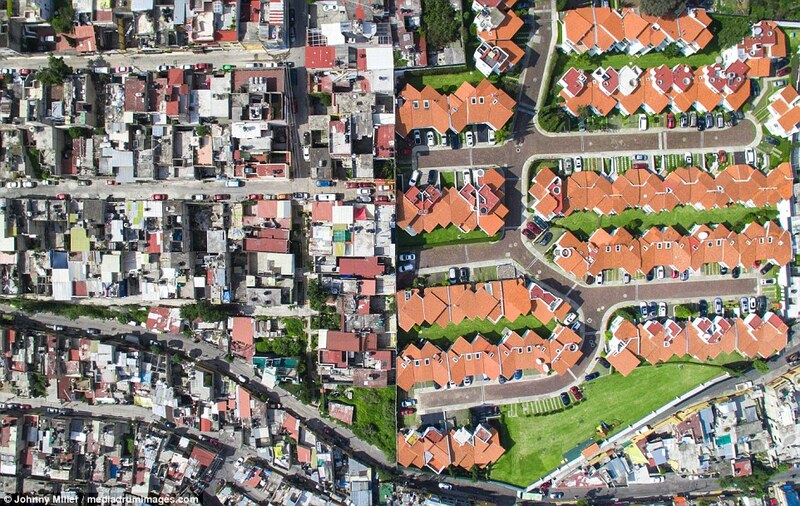 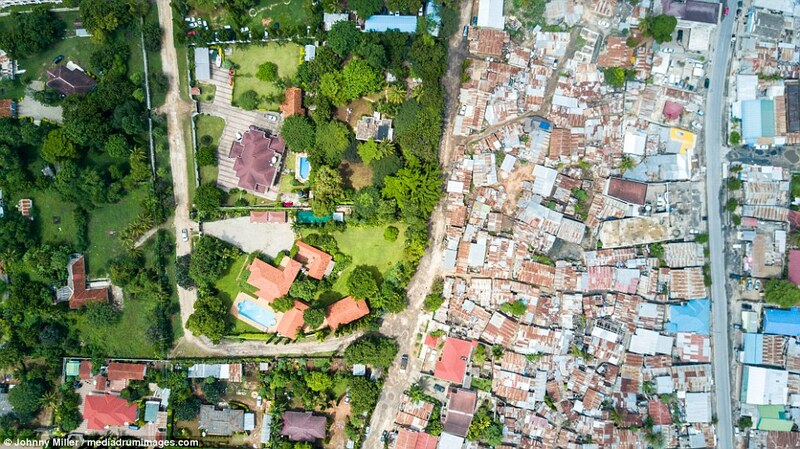 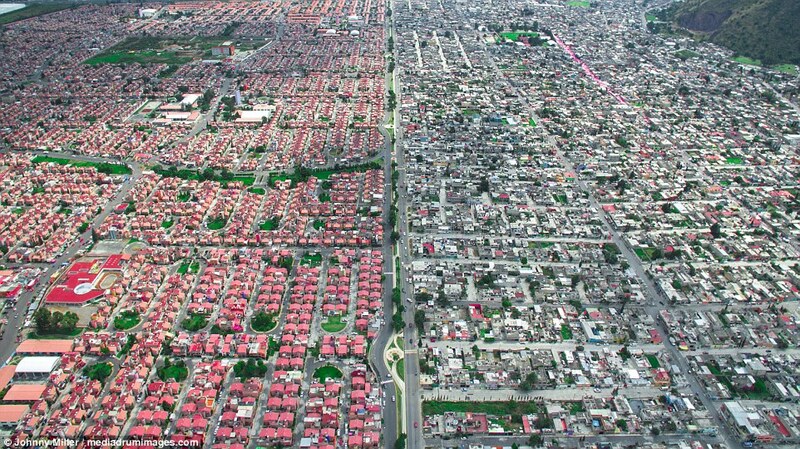 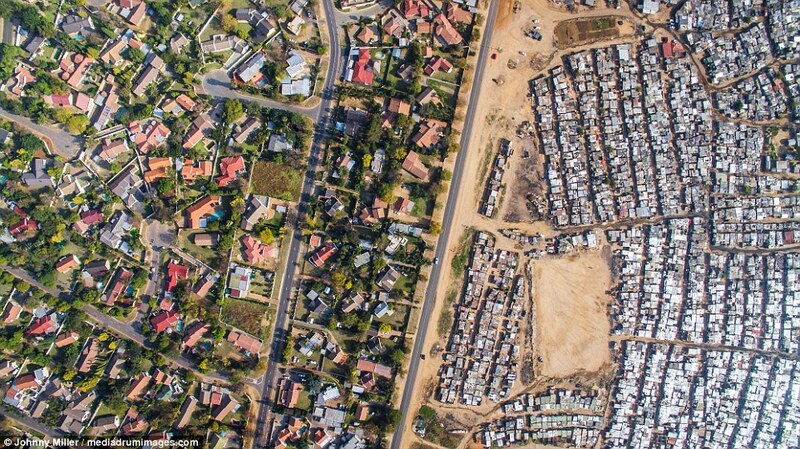 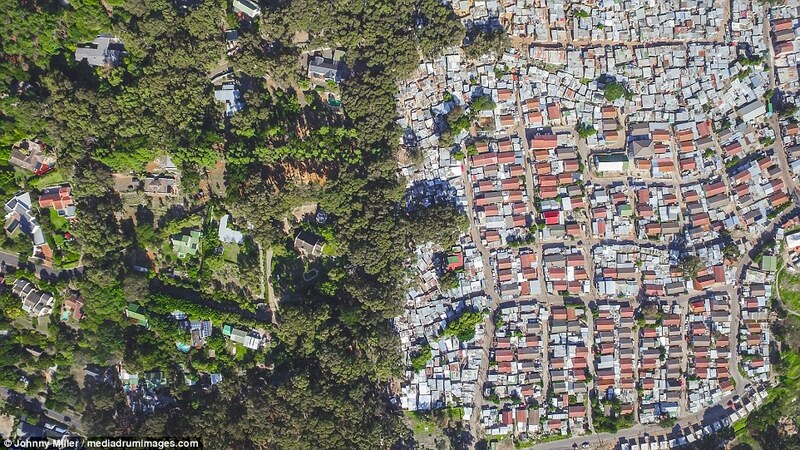 The divide between rich and poor in some of the world's most unequal societies has been laid bare in a series of stark aerial images. 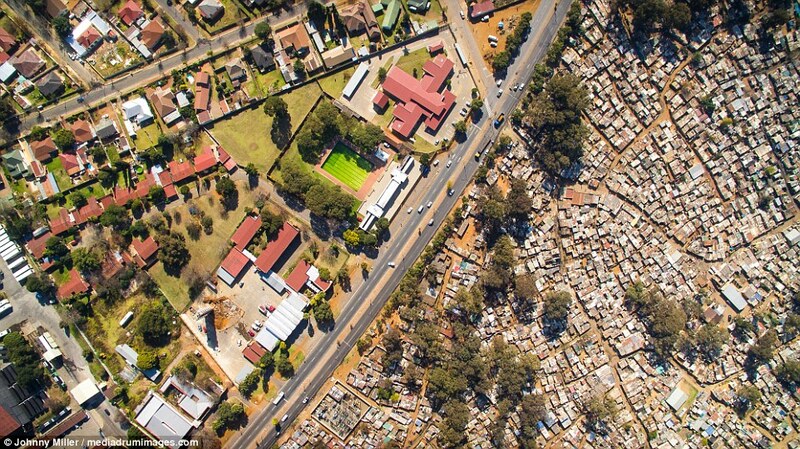 Photographer Johnny Miller began capturing the pictures two years ago after moving from America to South Africa but has since expanded his work worldwide. 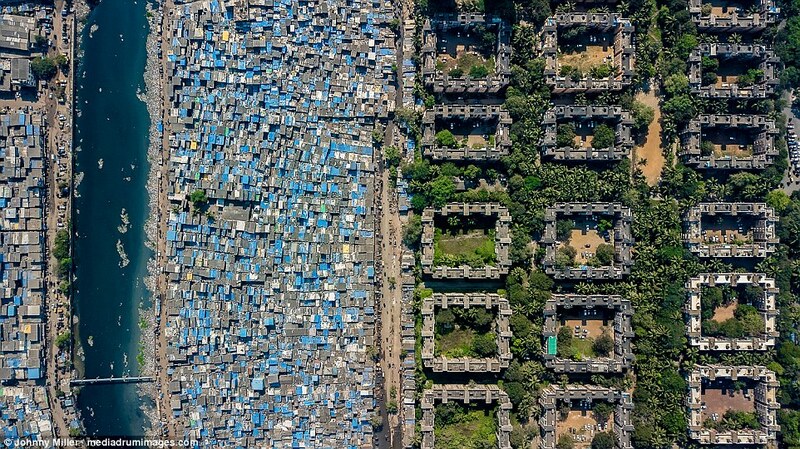 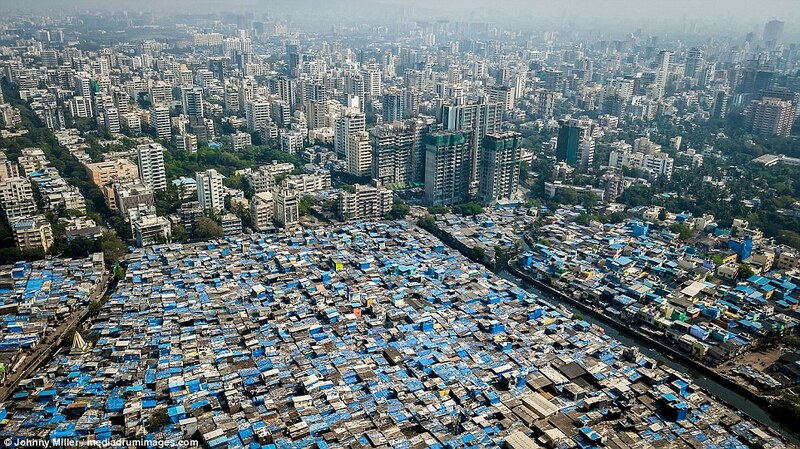 The new images show Mumbai, in India, where one of the world's largest slums butts up against luxury high-rises which house workers from the National Stock Exchange, which is headquartered just a few hundred yards away. 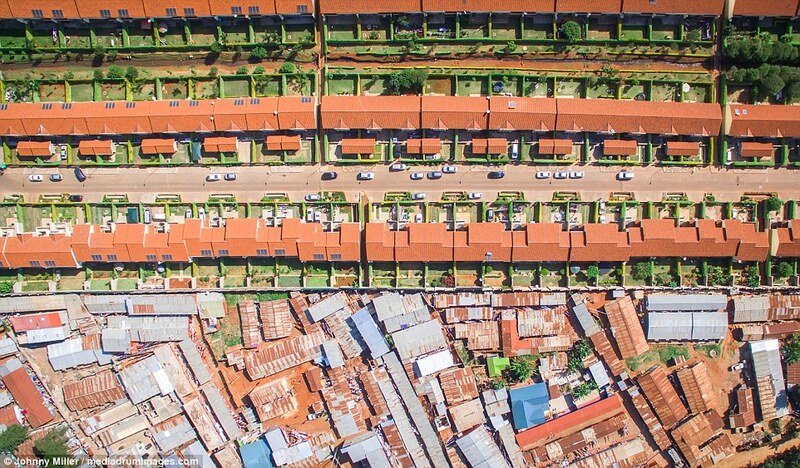 In Kenya's capital of Nairobi, a golf course frequented by affluent Africans backs on to the Kibera slum which is the largest on the continent, housing 2.5million people. 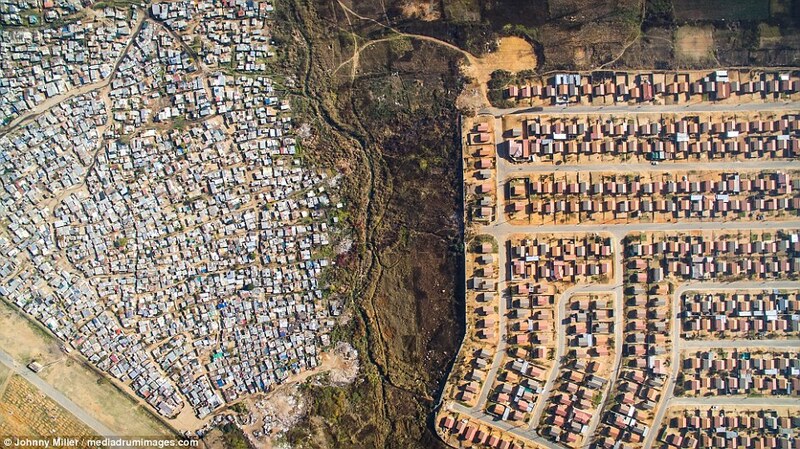 While some of the slums sprung up naturally, in Cape Town they are the result of the South Africa's apartheid past, created when blacks were displaced from land that the government declared as white-only. 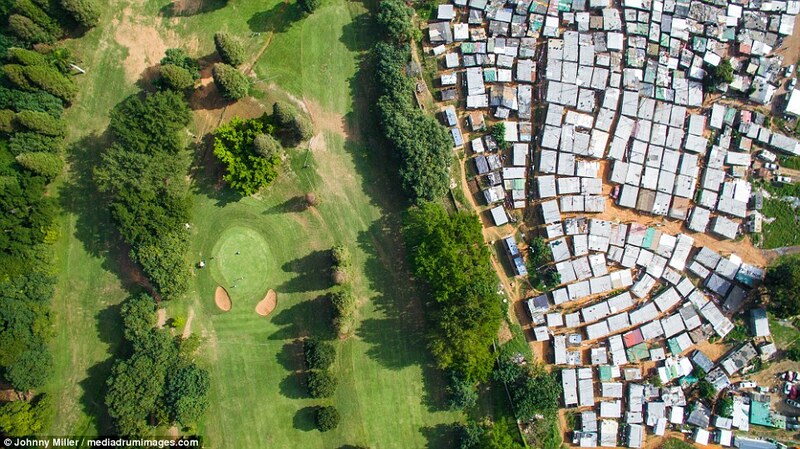 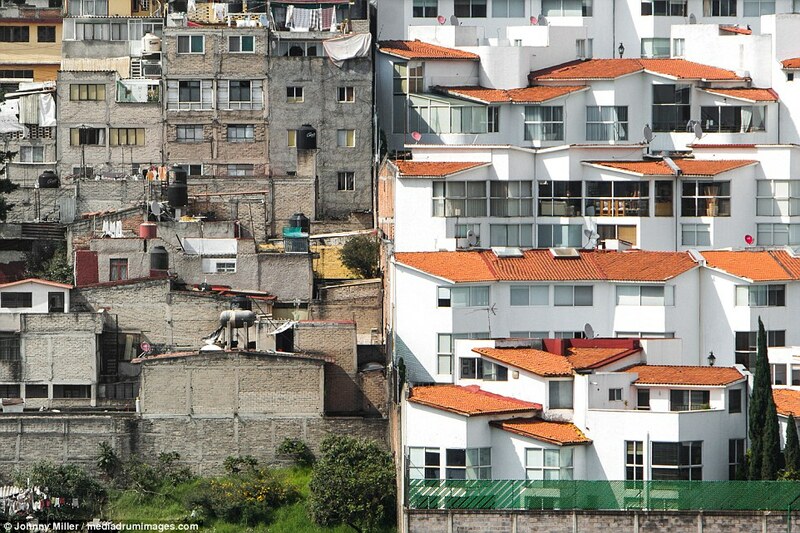 Miller's project, entitled Unequal Scenes, aims to provide a literal new perspective on inequality and to get people to engage with the problem, which Miller believes often gets ignored. 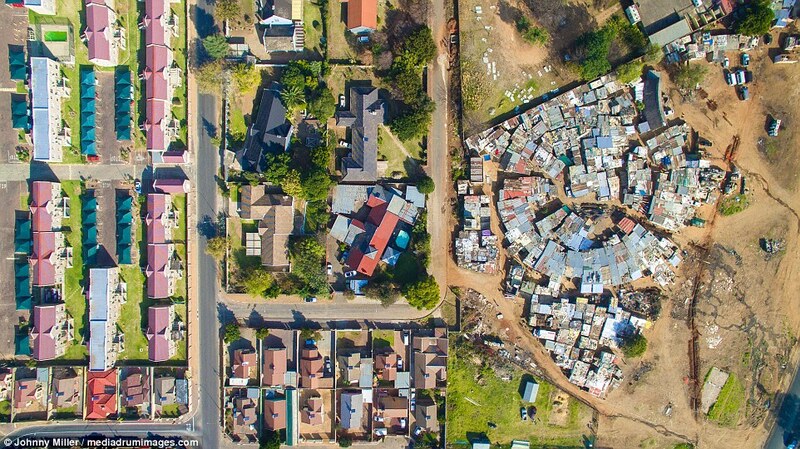 While differences in wealth are often difficult to see from the ground, from the air they can be hard to ignore, and it was this realisation that powered Miller's work. 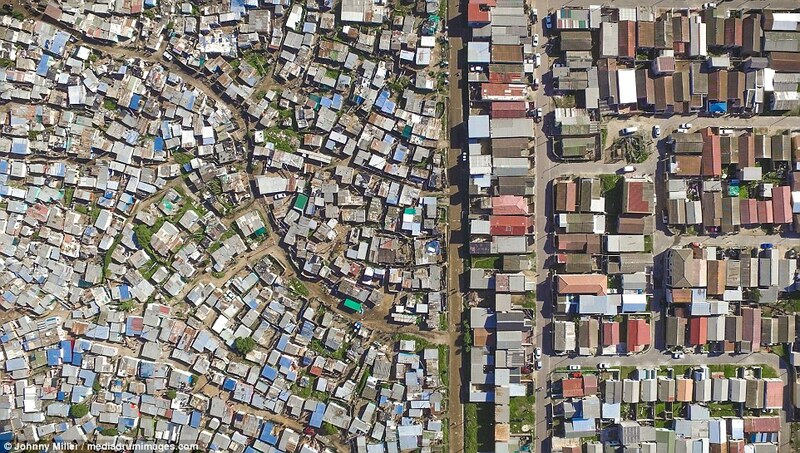 He said: 'The images that I find the most powerful are when the camera is looking straight down - what's known as "nadir view", looking at the actual borders between rich and poor. 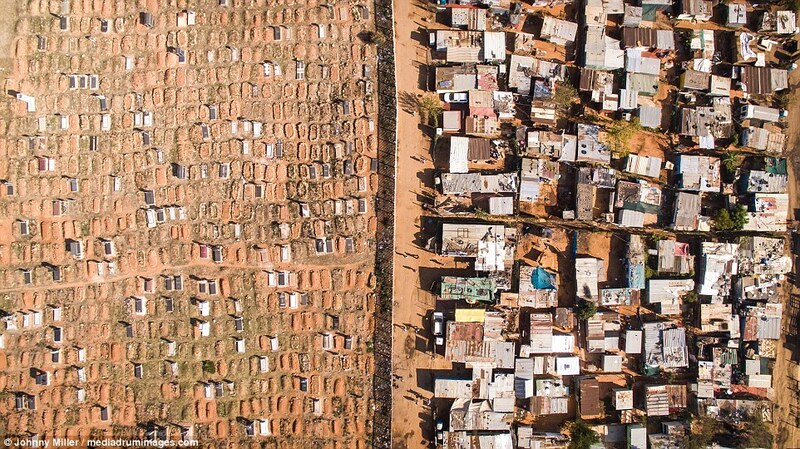 'Sometimes this is a fence, sometimes a road or a wetlands - with small shacks or poor houses on one side, and larger houses or mansions on the other.